As the White Sox take the field for the home opener this season, new outfield video boards will gleam and sparkle above them, and we will be awed. The video boards will seem in that moment—in all of their high-definition, altitudinous glory—to be money well spent by the state of Illinois. But, in that moment, we should also take time to ponder the gift of video boards in the larger context of the politics of state funding for things. For example, we might ask what kind of world we live in, where we can pay for $7 million worth of state-of-the-art digital technology at the White Sox baseball stadium, but we can’t pay for computers in our classrooms? The answer is that Jerry Reinsdorf has a much better deal with the state than our schools. Illinois ranks lowest among states in education spending, but is near the top in stadium money giveaways (to my knowledge, the Sox still enjoy the cheapest rent in the league). This language is common in stadium agreements, effectively obligating local taxpayers to continue kicking in for stadium upgrades as others, elsewhere, do the same. I contacted Neil deMause, who writes about stadium boondoggles at FieldofSchemes.Com, about these “obsolete component” clauses. He says that no one really knows how many taxpayer-funded renovations have been justified as a result of them, and that no one is checking. 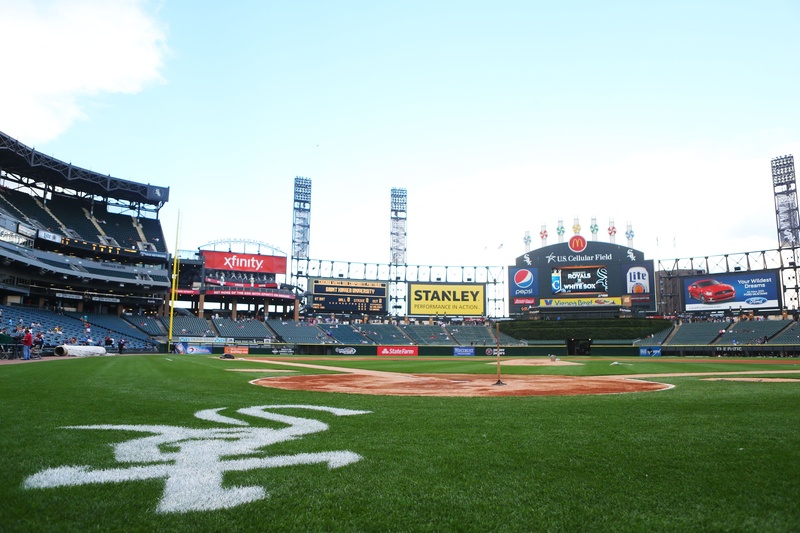 Records obtained by BP South Side show that the White Sox twice made video board upgrade requests to the Illinois Sports Facilities Authority (ISFA), the state’s stadium governing body, in both 2014 and 2015. In each request the Sox noted that over 75% of Major League Baseball had more modern video systems, referring to terms of the lease agreement. The team pointed out that the video portion of the centerfield scoreboard dated back to 2003. Incidentally, that was the year when the White Sox paid for a series of ballpark improvements, but only after the team received $68 million from U.S. Cellular Corporation for naming rights to the public facility. This time around, White Sox ownership was not about to pay for upgrades that the state was contractually obligated to provide, or for which the team wouldn’t be reimbursed by a third party. So in a resolution dated September 30, 2015, appointed officials at the ISFA determined it was “in the best interest of the Authority to undertake the Video Improvements Project.” The “Authority” being the ISFA, representing the state. Usually, there is no room for irony in legal documents, but maybe they were making a joke here. The contractor for the video system work and maintenance is Mitsubishi Electric Power Products, Inc. The company operates out of Warrendale, PA.
Sports stadiums do not stimulate local economies. But contracting a company that is headquartered, employs management, and pays taxes in another state, no doubt lessens whatever local economic benefit the ballpark investment might provide. Mitsubishi Electric Power is no stranger to state subsidies itself. According to Good Jobs First, the company has received what amounts to millions in tax credits, abatements, grants, and other payments from Pennsylvania and Tennessee. Now it’ll be adding Illinois taxpayer money to the coffers. Given these circumstances, the U.S. Cellular Field video system expenditure looks like a totally legal, yet gross misappropriation of state funds. Adding further insult, in 2015, the same year the state approved the new $7 million video system in the White Sox ballpark, it announced a $28 million budget cut for the city’s public parks. In this context, the White Sox new video boards—like previous renovations, the public debt financing of the ballpark, and the lease agreement itself—are a discreet political act, with a small group of beneficiaries. And so, I’ll likely enjoy the multimillion-dollar, high-def experience in my baseball stadium this season, but I really would’ve liked for the owners of my billion-dollar baseball team to have paid for it. Chris, the problem is with public authorities. Their funds are not mixed in the the state’s general funds. Authorities operate as an independent semi-corporation. They can issue bonds and obligate taxpayers, but they operate largely independent of said governmental control. In the case of this authority, the new Comiskey should have been paid for 5x over with the revenue the authority generated. I believe it has expanded beyond its original mandate and become involved in other stadia. An authority is very unlikely to kick its revenue into the general fund. That spending these funds when the state is in dire financial straits is bad optics, that money would never been available to schools or parks or the general fund to begin with. Just how much money has this authority squirreled away? Are taxes on restaurants & hotels still funding the authority 26 years after the stadium opened? guess what? life ins’t fair. Thank you for writing this. It should be obvious to most people that taxpayers footing the bill for private enterprises without compensation should be viewed as a complete scam.